The repository and unit of work patterns are intended to create an abstraction layer between the data access layer and the business logic layer of an application. 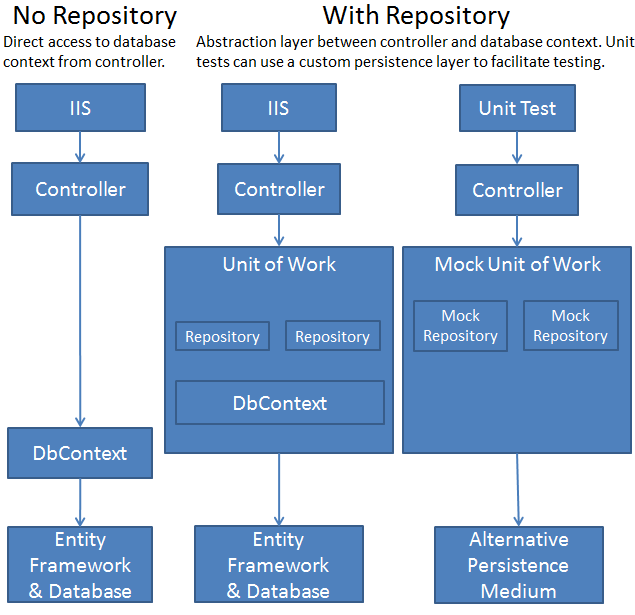 Implementing these patterns can help insulate your application from changes in the data store and can facilitate automated unit testing or test-driven development (TDD). Note There are many ways to implement the repository and unit of work patterns. 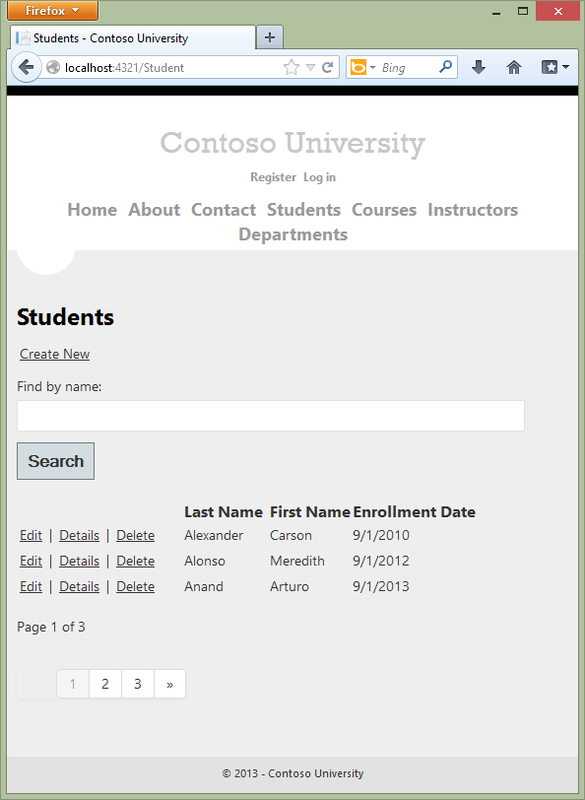 You can use repository classes with or without a unit of work class. You can implement a single repository for all entity types, or one for each type. If you implement one for each type, you can use separate classes, a generic base class and derived classes, or an abstract base class and derived classes. You can include business logic in your repository or restrict it to data access logic. 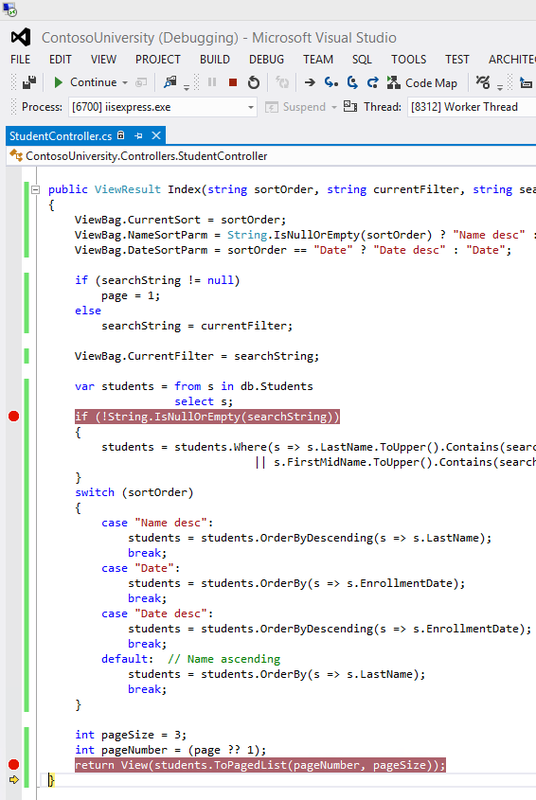 You can also build an abstraction layer into your database context class by using IDbSet interfaces there instead of DbSet types for your entity sets. The approach to implementing an abstraction layer shown in this tutorial is one option for you to consider, not a recommendation for all scenarios and environments. 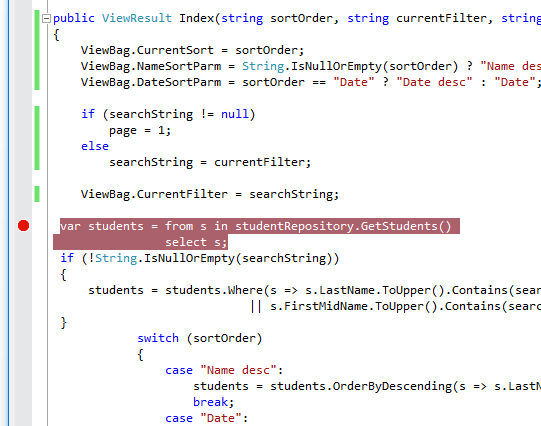 This query returns all of the student data because the repository executed the query without knowing about the search criteria. The process of sorting, applying search criteria and selecting a subset of the data for paging (showing only 3 rows in this case) is done in memory later when the ToPagedList method is called on the IEnumerable collection.